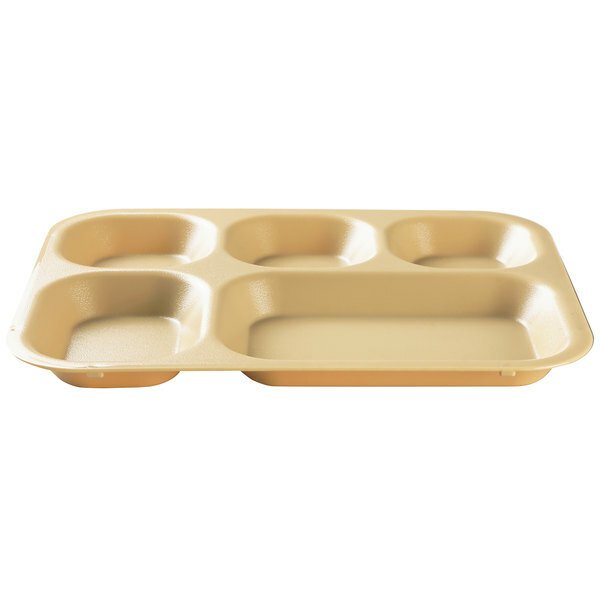 For your school, university, hospital, correctional institution, or assisted living center, serve all of your meals on this beige Cambro 14105CW133 five compartment serving tray. It's made from virtually unbreakable polycarbonate material with five deep compartments for serving ample amounts of food, while controlling portions. 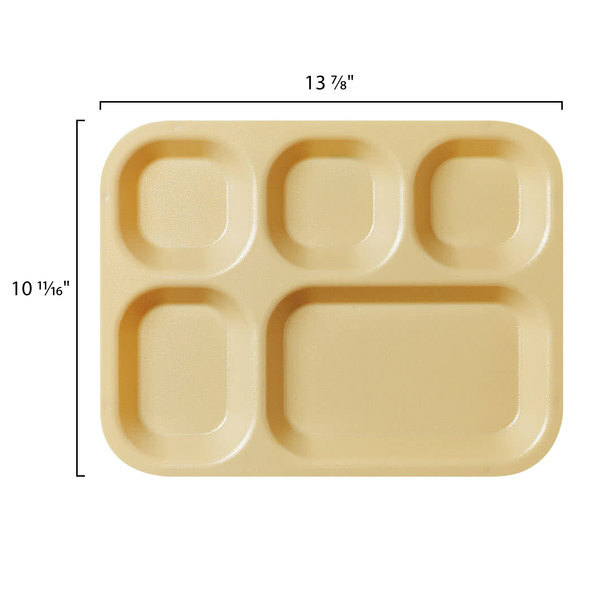 This Cambro 14105CW133 serving tray is FDA approved for food contact.